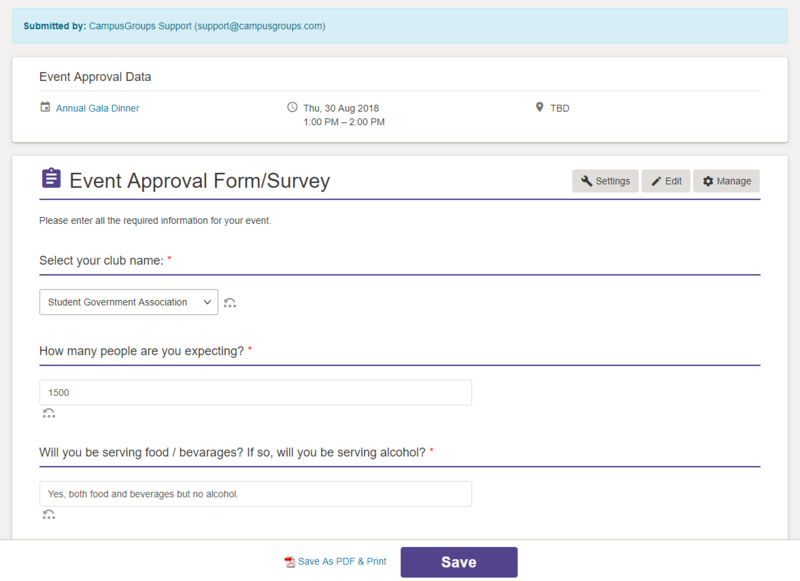 In order to set up a complex event approval, you have to start by creating the approval form/survey, then create a workflow and link it to the form/survey. Finally, you will simply have to turn-on the feature. 3. 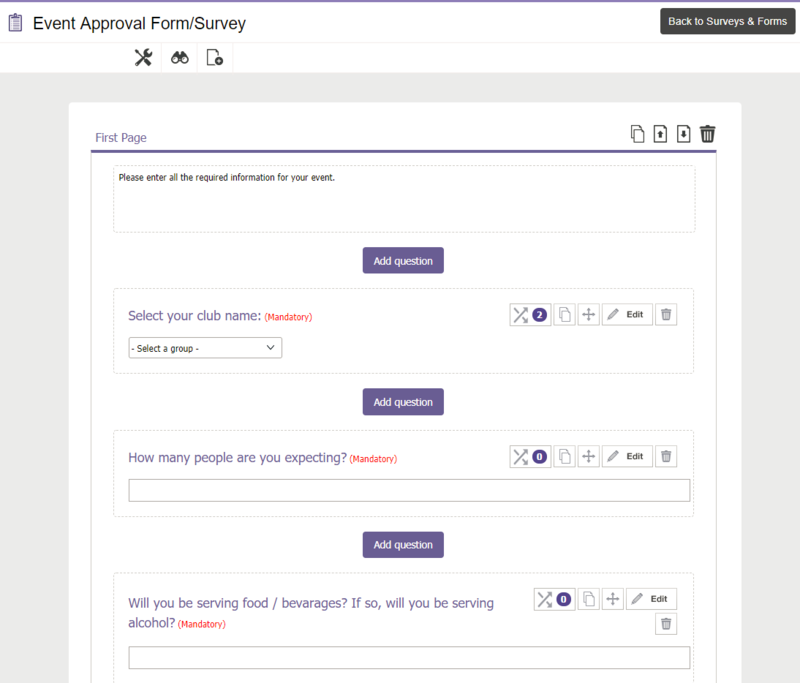 Once your form/survey is ready, go to "Surveys & Forms" > "Workflows" and click "Create Template". It will create a workflow with one step. In order to edit your workflow, please see our tutorial "How to set up a workflow for your form/survey". For this tutorial, we will use a 2-step workflow with 4 participants. 4. Once your workflow is ready and linked to your survey, go to the Admin section and click "Settings" and then click on the "Approval" tab. 2. Once the form/survey is submitted, the workflow process is triggered. You can access it by managing the form/survey. 3. 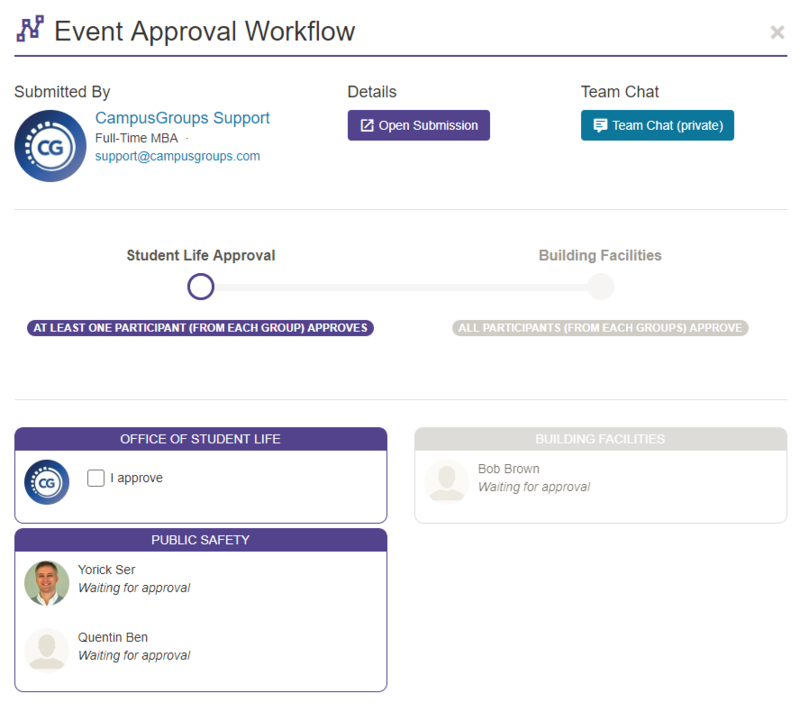 Clicking on "See Workflow" to get to the workflow screen where you can quickly access the submission or chat with the approval team. The event will be approved automatically once the workflow is approved. 4. Until you approve it, the event status is "Pending Approval" and will not appear on the list of events or the calendar.